I love my pet battles but I have to say this Elite pet frustrated the hell out of me. The strategy that worked for me was: Dazzling Dance, Howl and Bite from the Foxling Kit, then Headbutt, Emerald Bite, Healing Wave, Emerald Bite from the Emerald Turtle. Finally Burrow, Dodge and Scratch from the Arctic Hare finished him off. 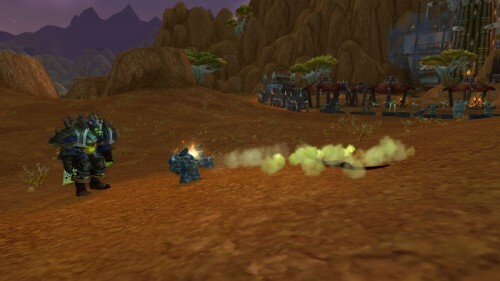 This week I logged in to take a look at the new pet battle system coming with Mists of Pandaria. 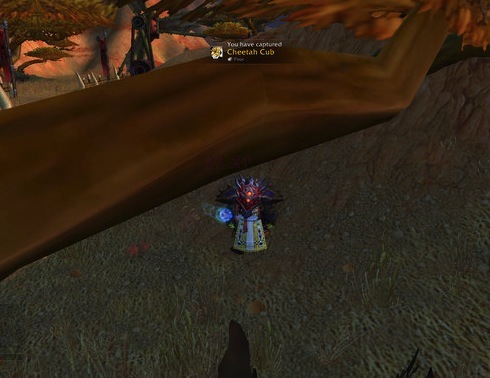 Prior to logging in I was not particularly looking forward to this feature and it was something I looked at as a time waster while waiting for queues to pop and raids to form. However, I was pleasantly surprised with the feature. As I mentioned a few weeks ago in my overview of the major changes Pet battles does not offer us anything ground breaking in terms of new MMO technology or gameplay, it is simply a mini-game that is extremely fun. To enable the feature we need to learn about pet battles from Varzok in Orgrimmar. He can be found near the flight master. To attack on these critters we simply click on them. We begin the battle with just 1 pet slot and can unlock more as we progress through levels. 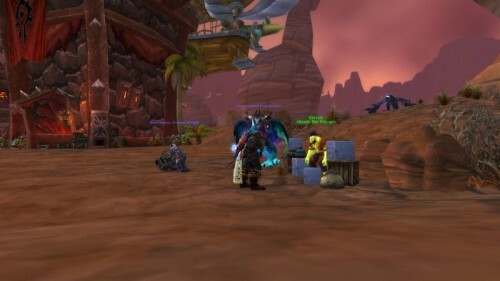 At level 5 we receive our 3rd slot and can then queue to fight other players, though we can challenge players to a pet duel at any level in person. As our pets progress in level, they unlock new skills and eventually we can capture the critters that we are fighting. 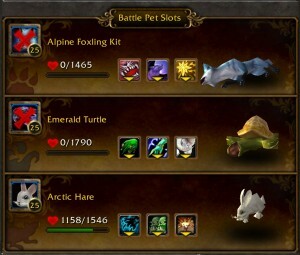 Each pet has 4 stats: Health, Power, Speed, and Quality. Health, Power and Speed increase as your pets level up. Quality designates the overall strength of your pet’s stats and will vary on every pet that you catch. 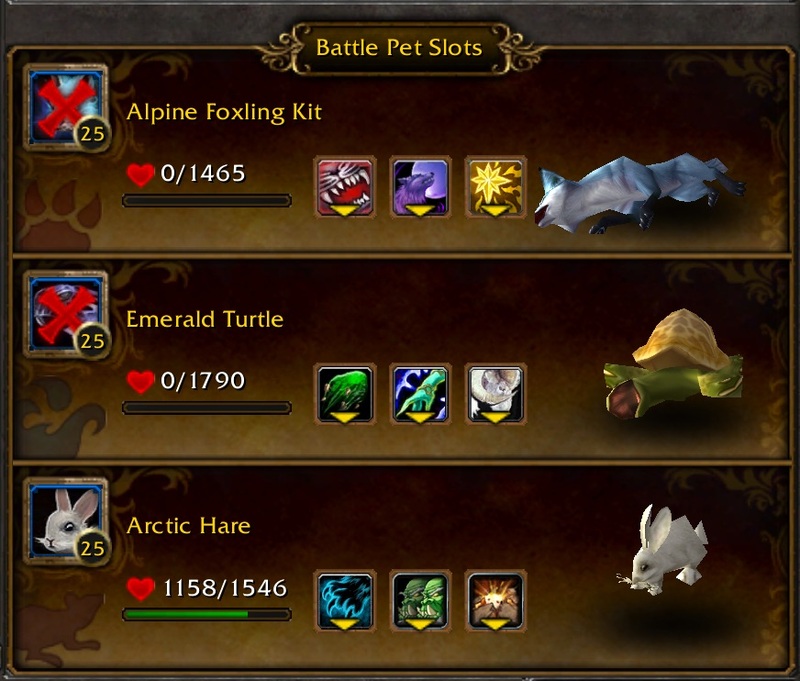 We also have the option to rename each of our pets individually – this is helpful as we can capture multiple types of one pet as we battle across Azeroth. It also allowed me to officially rename my Panda from the original collector’s edition to the name by which I have been referring to it for years. As mentioned above there is nothing mind blowing about this new feature, it is in fact very much like the classic Pokémon games from the Nintendo Gameboy. It is highly addictive and a lot of fun to play and after having played it on the Beta I have spent close to 5,000 gold on pets on the live realm, ready to be levelled as soon as the feature is released.